Children are like sponges – they watch and absorb knowledge, skills and values from everything and everyone around them. At the Y, we believe the values and skills learned early on are vital building blocks for quality of life and future success. That’s why our child care, afterschool and Child Watch programs are staffed with people who understand the cognitive, physical and social development of kids, the need children have to feel connected and supported in trying new things, and the caring and reinforcement parents and families need to help each other. At the Y, babies develop trust and security, preschoolers experience early literacy and learn about their world, and school-age kids make friends, learn new skills and do homework. Most importantly, children learn how to be their best selves. That makes for confident kids today, and contributing and engaged adults tomorrow. We offer a structured, activity-based program using the YMCA of the USA School-Age curriculum. Program options for children K-5 are M-F, MWF, or TTH with morning and aftercare available. Bus transportation is included. We provide a variety of activities, including but not limited to, sports, arts & crafts, quite games, science projects, group games, international activities, homework time, indoor and outdoor creative free play, and service learning projects. The Club-Y program is a state-licensed after-school program for middle school students. Program options are M-F, MWF, or TTH with bus transportation provided. This program provides students that opportunity to have more free choices and independence in a supervised environment. Club-Y is located at the Main Y building. For pricing, please click here and view our program guide. Per the Southington Board of Education students are to be 5 days consistent at any bus stop or parents are responsible to provide transportation from the school or that location (example: day care) on the alternate days. Parents/Legal Guardians are responsible for contacting the child’s school office as well as the child’s teacher explaining what exact care the child will be doing with the YMCA Childcare department. If your child will be out for the day please contact the respected site phone. Leave a detailed message and contact info if needed. The site information is located below. Our enrichment program is for children ages 2 to 3 and is a great way to get them prepared to join our Nursery School or Preschool programs. Each session offers an opportunity for your little one to have socialization through structured play, crafts, songs and stories. We hope to see your family in one of our classes. A great way to introduce your child to socialization, structured play and lots of fun. A new craft every class. Please see the most current program guide for offerings this session. Our full-day, Jump Start program is designed for children who are eligible to start Kindergarten. Program options are M-F (FREE family membership included with full time enrollment), MWF or TTH. The program focuses on Connecticut Common Core Standards including Math, Literacy and Science. Performance standards include relating number to quantity, using complex sentences and vocabulary to describe ideas and experiences, writing to convey meaning and engaging in scientific inquiry. Swimming is included. Extended is care available from 5:30-6:00 PM for an additional fee. Please note additional enrichment opportunities (i.e. swimming, field trips, special guests, etc.) may be offered in your child’s program and only full time enrollment guarantees that your child will be included in all activities. Part time enrollment may cause your child to miss some of these enrichment opportunities depending on the day(s) your child attends. Let us introduce Bri Reney as our new Saturday Sitters Coordinator. 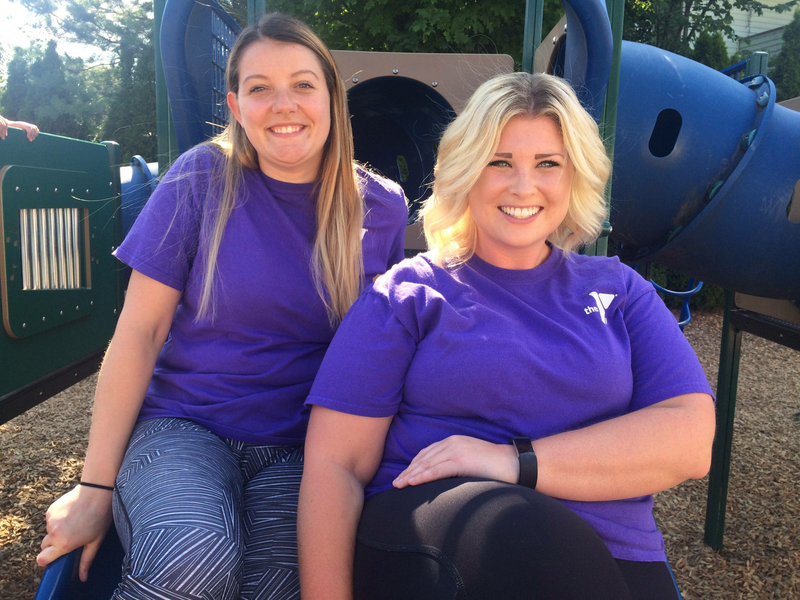 Bri has worked for the Southington Community YMCA for 8 years and 4 years in Saturday Sitters. Bri has a master’s degree in clinical social work with a concentration in children and families. She enjoys hiking and other outside sports. The YMCA offers you a chance to go out for dinner, go to a movie, do some shopping or just relax while we provide a safe and fun environment for your child (ren). Saturday Sitters includes dinner, crafts, and organized games. Saturday Sitters runs every second Saturday of each month from 5:00pm – 8:00pm. We will also be adding in more Saturdays throughout the year so keep an eye out for extra nights we will be available! Parents get a night out and your child gets a night of fun under the supervision of highly trained YMCA staff. The Saturday sitters program is open for children 3 yrs of age to fifth grade. All children must be completely potty-trained and out of pull ups. Pre-registration is required and a registration packet is to be completed and returned to the YMCA by the first Saturday you will be attending. This program is held at the YMCA Learning Center. Please call (860)621-8130 for more info. Space is limited! For any information regarding Saturday Sitters please contact us at 860-621-8130. Y-Time is for families needing occasional care throughout the summer. Each week has a theme and a daily “special” activity. Daily activities may include organized group games, arts and crafts, walking trips, outdoor games, and water activities. The Y will provide a morning snack. Children should have lunch and an afternoon snack with an ice pack. What: Summertime childcare just when you need it. Register now for this summer then simply call the day before or day of to secure their spot on the day you choose. Already know what days you need care? Reserve their spot any time. To Register: Complete a registration packet today and select the days you need later. Download the registration packet at sccymca.org/registration-forms. Return it to the Learning Center (30 High Street). Payment is credit card only. Ask about the 2nd child discount—$1 off the hourly rate! Stay tuned for a Y-Time Informational Open House in early May! For children staying most of the day in Y-Time packed lunches must have a cold pack. Children must be fully toilet trained and out of pull ups. For more information on our Y-Time program at the Southington YMCA please contact the YMCA Learning Center at 860-621-8130. Children will participate in several age appropriate activities including outdoor games, contests, sports, arts and crafts and occasional field trips. Please pack a lunch with an ice pack. We do not heat or refrigerate lunches. A morning and afternoon snack will be provided. Please send your child with appropriate attire for indoor/outdoor activities (no open toed shoes; swimsuits/snowsuits if indicated). Children will be divided into groups according to age. When Southington Public and Parochial schools are closed due to inclement weather, the Y will hold a Snow Day. Children will participate in several age appropriate activities including organized games, contests, arts and crafts and sports. Please pack a lunch with an ice pack. We do not heat or refrigerate lunches. A morning and afternoon snack will be provided. Children will be divided into groups according to age. Additional paperwork is required for medication or any other specific care needs. You may purchase one day at time. You may register for the next snow day at the membership services desk once the previous snow day has occurred. To cancel a snow day and receive credit you must contact us by 5pm the day before the anticipated snow day. Children will participate in the regular nursery school program and then have additional time with teachers for more individualized instruction with an emphasis on Pre-K readiness skills, including activities in math, science and literacy. Program runs MWF from 9-1 for our 4 year olds. Children will bring lunch from home and be provided with a morning snack. Swimming is included on Fridays. This program will be located in our early childhood classrooms on the 2nd floor in the main Y building. Children must be fully toilet trained and out of pull ups. Our partial-day, partial-week Nursery School program is a state licensed program offering classes MWF from 9-11:30AM or and TTH from 9-11:30AM for our 3 year olds. Nursery School curriculum follows the CT Preschool Framework and is located in the secure, spacious and stimulating environment of our early childhood classrooms on the 2nd floor in the main YMCA building. Swimming is included for 4 year olds. Children must be fully toilet trained and out of pullups. Our full-day, preschool program is a state licensed program and is located in the secure, spacious and stimulating enviroment of our YMCA Learning Center. Program options are M-F (Free Family Membership included), MWF or TTH. Teachers focus on social, emotional, creative, physical and cognitive skills. We follow the CT Preschool Framework curriculum. Children must be 3 years old by December 31st for a fall start. Additional enrichment opportunities may include an introduction to yoga and gymnastics. Children must be fully toilet trained and out of pullups.